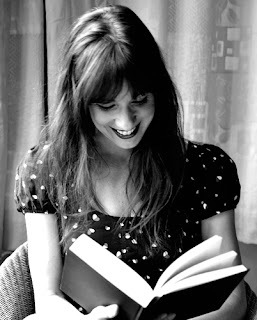 Book Drunk: Festive Q&A with Rosie Blake! A star made up of tiny bells. It's very pretty. I mainline mulled wine from mid-November on. THE PRESENTS! *husband does 'I judge you' face* No wait, that isn't right it is LOVE and FAMILY*. When it ends and you look at your goose-fat smeared kitchen, plates piled high, empty crackers and you just think "LET'S BURN IT DOWN"' rather than face the washing up. BEST was circa 1989 - a yellow robot who could roll across the floor by remote and talk in a robot voice. WORST was Hmm... I don't have one, I just really like presents. Er... The normal time like a normal person*. So many. It is Run Like Clockwork. I could provide you with a timetable but then I would have to kill you. 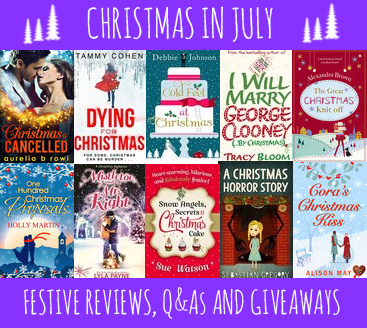 I adored 'A Cinderella Christmas' by Holly Kingston – a genuinely funny novella. Oh easy, although technically not a Christmas book (!) Miracle on Regent Street by Ali Harris. I FOLLOWED THE RULES - The next from J Bolouri. Loved her debut. Such great answers, they put a big smile on my face.